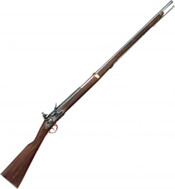 Replica Colonial flintlock rifles, flintlock rifles colonial, revolutionary war flintlock rifle, revolutionary war stage props, colonial stage prop guns, colonial musket, colonial Musketoon, French Musket with bayonet, French Calvary 1763 carbine flintlock rifle, Kentucky flintlock rifle, English flintlock double barrel muzzleloader, powder horn. THESE ARE ALL NON FIRING REPLICA MODEL FLINTLOCKS. 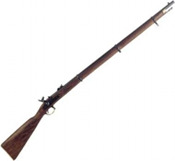 See details 1860 Enfield Civil War Musketoon.